Today’s transmissions are both better and more complex than ever before. They are electronically shifted and computerized to produce better fuel economy, smoother shifting, and more reliability. They are so sophisticated that they have become fully integrated into the engine performance system. These advancements in technology have made properly diagnosing and servicing transmissions more important and complex than ever. While maintenance schedules for transmission fluids have been greatly extended, failure to follow them can be a very costly mistake. Many driving symptoms today are caused by problems that are not easy to identify. Proper analysis of the entire powertrain system is necessary to make sure the proper component is isolated and repaired. 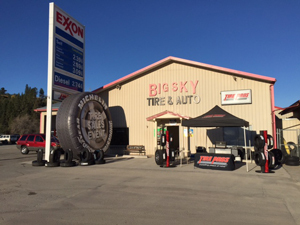 At Big Sky Tire Pros in Eureka, MT, we have the OEM quality diagnostic tools, along with properly trained, experienced technicians, that are qualified to get the job done right. If you are having a problem with the way your car or light truck shifts or performs, let us get you back on the road quickly and affordably.